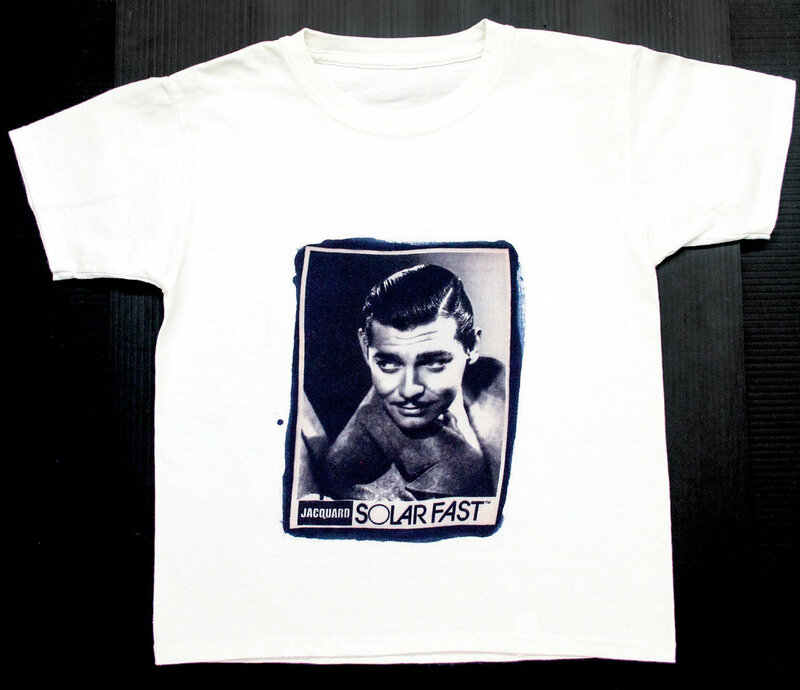 SolarFast Thickener is used to increase the viscosity of SolarFast Dyes for screen printing applications. 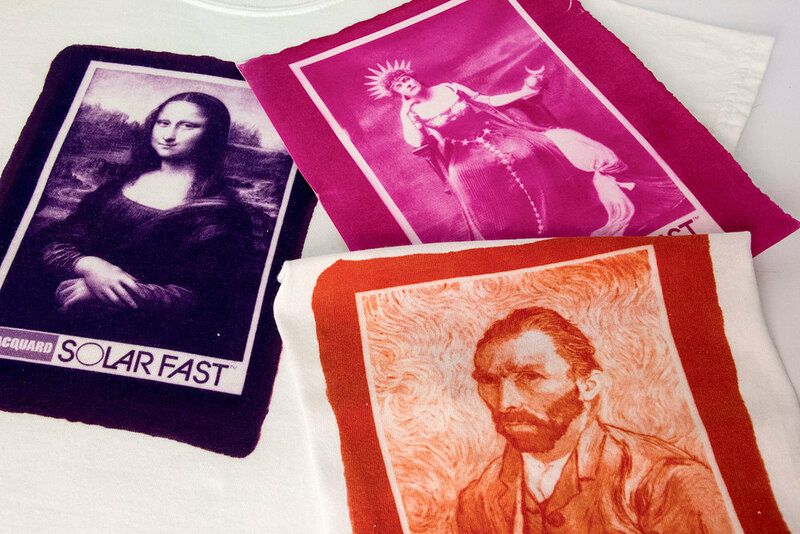 This is the easiest dye based system for screen printing available. In a separate container, slowly add SolarFast Thickener to SolarFast dye, stirring vigorously. Use up to 1 tablespoon/14.79 ml thickener per 4 fl oz/118.29 ml dye or until desired consistency is achieved. Do not add water. Print as usual. 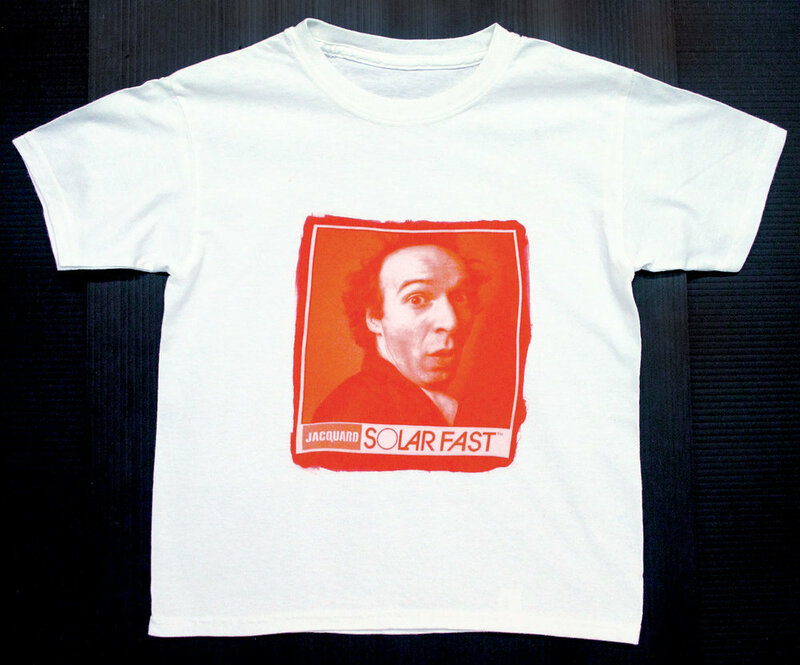 While still damp, expose print to sunlight or UV light, as directed in SolarFast dye instructions. After Exposure, wash in hot water with SolarFast Wash, as directed. 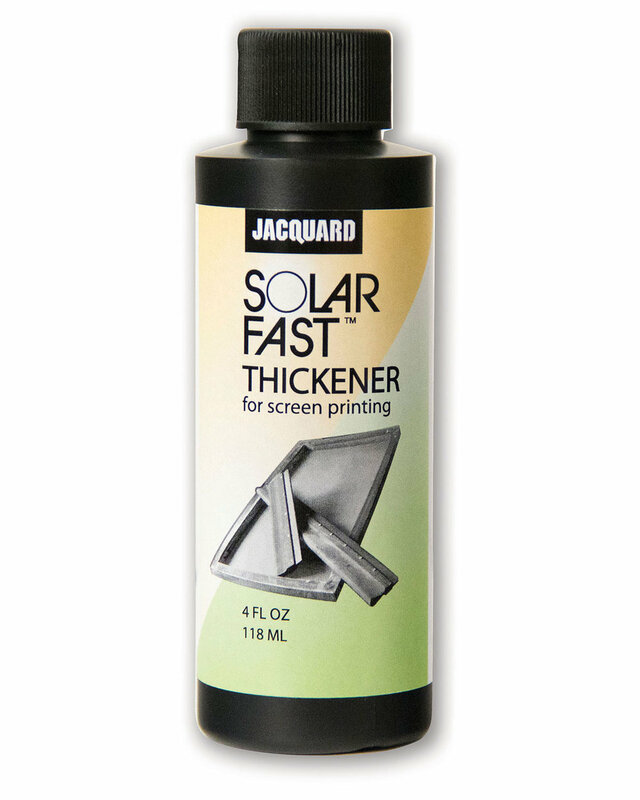 Check out www.JacquardSolarFast.com This easy, photo-editing website allows you to quickly transform any image into a negative.